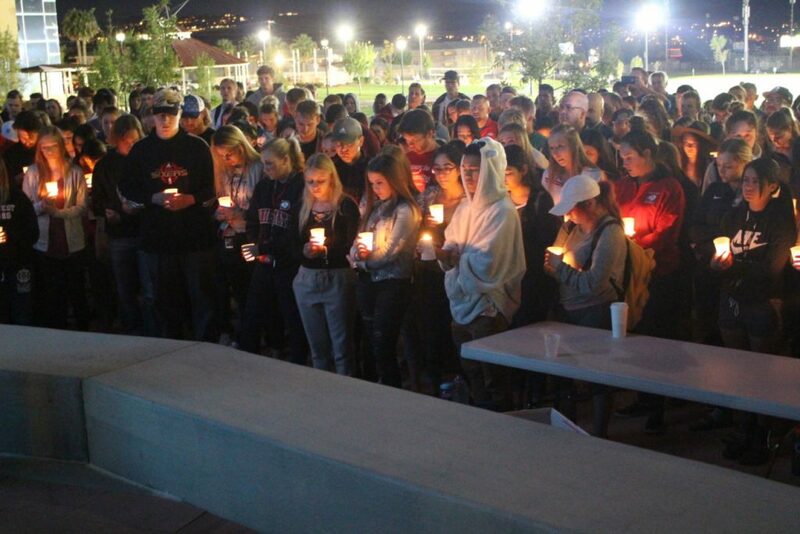 ST. GEORGE – In the wake of tragedies like the recent Las Vegas shooting and the approach of the St. George Marathon, which will host approximately 7,800 runners and 2,000 volunteers, an inevitable question is asked: Could it happen here? Area police, civic and medical officials hope it never will, yet they still prepare for the possibility. The Las Vegas shootings at the “Route 91 Harvest Music Festival” left 59 people dead and over 400 injured. St. George has its own share of outdoor events both large and small, from the monthly Georgefest to the upcoming 41st St. George Marathon. “Security and safety are priority,” said Marc Mortensen, support services manager for the city of St. George. 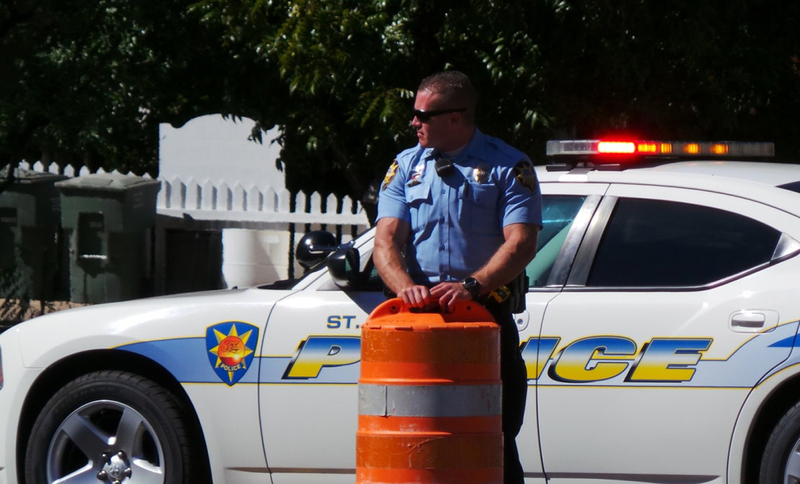 The city of St. George changed how it handled event security following the Boston Marathon bombing five years ago. Security at subsequent events has been heightened ever since, both visibly and behind the scenes. “We do this with every event,” Pike said. In the case of the St. George Marathon, he said, the city knows key locations and times along the route and reinforces them. According the St. George Marathon website, security plans are reviewed and adjusted each year. In preparation for the marathon and other events, the St. George Police Department holds trainings throughout the year that deal with various aspects of an active shooter situation and other potential threats and disasters. Preparation for the marathon also includes setting up an emergency coordination center – should it be needed – and bringing in bomb-sniffing dogs from the National Guard as precautionary measures. “We’ll take every precaution we can up to and during the event to make sure people are safe and enjoying it,” Mortensen said. A lot of the work that goes into providing security for the marathon and other events goes unseen, St. George Police Officer Lona Trombley said. “There’s a lot more security than people realize,” Trombley said. The public can go a long way in helping to keep events safe by reporting anything that seems amiss or suspicious. Once a year the St. George Police trains for large scale mass-shooting situations. Similar trainings involving collaboration between multiple law enforcement and emergency agencies and institutions are also common. Two such trainings occurred at Dixie State University’s Russell C. Taylor Building in 2013 and at Desert Hills High School in 2015. Yet still, what if an event like the Las Vegas shooting or Boston Marathon bombing occurs? This is where triage comes in. The hundreds injured in the Las Vegas shooting initially overwhelmed the local medical system, and the same would likely happen in St. George if there was a mass-casualty incident on a similar scale, said Steve Ikuta, the emergency management program manager for the Intermountain Healthcare’s Southwest Region. 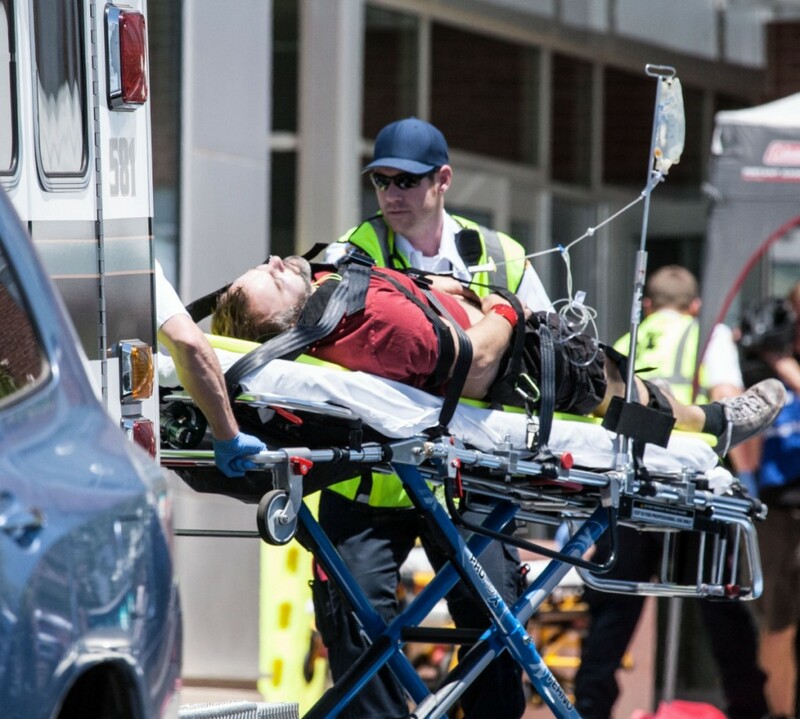 However, just like the police and other agencies, Dixie Regional Medical Center and Intermountain Healthcare as a whole also conduct trainings and have plans in place for mass-trauma scenarios. “That’s the reason we have these trainings, to have the skills and response necessary,” said Terri Draper, a spokeswoman for Intermountain Healthcare. In the event of an incident, Ikuta said, all available staff would be called in to tend to medical emergencies and patients would be triaged – or assigned care based on the urgency of their wounds. Additional resources are called in from other facilities. In case of blood shortages, arrangements have been made with the Civil Air Patrol to fly blood in from northern Utah and Las Vegas, Ikuta said. In response to the Las Vegas shooting and disasters in general, Ikuta encourages people to give blood through the American Red Cross. Personnel at Intermountain Healthcare facilities, like Dixie Regional, are trained to take an “all hazards approach” in mass-emergency situations, be they natural or manmade. At a minimum they train twice a year for such events, Ikuta said, while also engaging in corporate-wide exercises for potential regional emergencies in order to better synchronize overall efforts. People tend to react one of three ways when caught in the middle of an active shooter incident: freeze, fight or run. The police recommend the latter two, Trombley said. While you’re definitely encouraged to have a good time at an event and certainly not live in a state of fear, Trombley said, people can still pay attention to their surroundings and even consider possible places to run to and escape in case of emergency. Encourage others to leave with you, but don’t let the indecision of others slow down your own efforts to escape. Once you are out of the line of fire, try to prevent others from waking into the danger zone and call 911. When hiding, turn out lights, remember to lock doors and silence your ring and vibration mode on your cell phone. Just as with the Boston Marathon bombing in 2013, security for public events has most likely been reviewed and reacted to accordingly for public events across the nation. Could it happen here? Come on already, it could happen anywhere, at any time. But you are far more likely to either die or be injured on the streets and highways in Dixie, than you are to be involved in a mass causality situation. We still don’t know, (and possibly never will,) if this was a random nut case, or a case of planned terrorism. Either way, the result is the same; death and injury at the incident scene and fear that it will happen again, somewhere else, and that it might involve you. This is a dangerous world. It always has been, it always will be. Don’t let the possibility of an incident such as happened in Vegas, mar your enjoyment of life.